There are many reasons why door and window locks need fixing, replacing or fitting and you find yourself in need of a locksmith. Locks often fail at the most inconvenient moment and it's important that your home, office or property is secured quickly and by a reputable locksmith who you can trust. SF Locksmith are experienced locksmiths helping customers in Askern near Doncaster to stay safe and secure. We provide free, competitive and no obligation quotes and offer advice on the most appropriate, cost effective solution for all your problem door and window locks. Lock repairs in Askern, Doncaster. SF Locksmiths are specialists in all types of lock repairs and offer a level of customer service that is second to none. 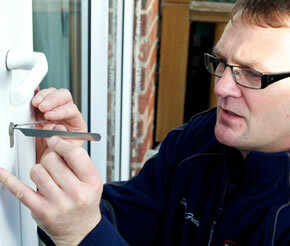 We are able to repair all types of locks fitted to uPVC, wood, composite, aluminium and commercial doors. These include multipoint locks fitted to uPVC and composite doors; mortice sashlocks and deadlocks which are usually fitted to wooden doors; and nightlatches fitted on wooden doors. We also repair sliding patio doors, specialising in tilt and slide door repairs. Locks fitted in Askern, Doncaster. 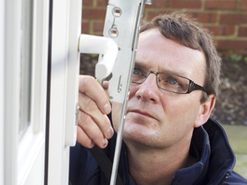 SF Locksmiths offer a professional lock fitting service to Askern homeowners. We are Police approved and CRB checked giving you the assurance that you are choosing an honest and reliable company. We do not charge a call out fee, which means if we are not able to complete the required work we will not charge you. All locks fitted is fully are guaranteed for two years. 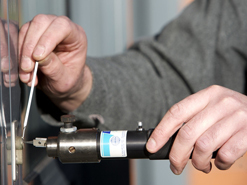 Emergency locksmith covering Askern, Doncaster. Have you lost your keys, been locked out or even worse - burgled? Don't panic, we are here to help! We provide an emergency lock repair and replacement service, with a reliable, dedicated, knowledgeable and fast response locksmith on hand to help you out in these unfortunate circumstances. Give us a call at any time of the day or night for a fast response. Fantastic fast friendly and efficient service, with good future advice given. 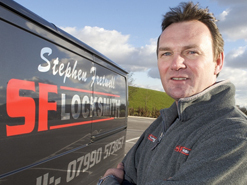 SF Locksmith are based in Doncaster and have over 20 years experience as professional locksmiths. The business has been built upon our values which are: trust, experience, courtesy, reliability and responsiveness. Our customer feedback speaks volumes.